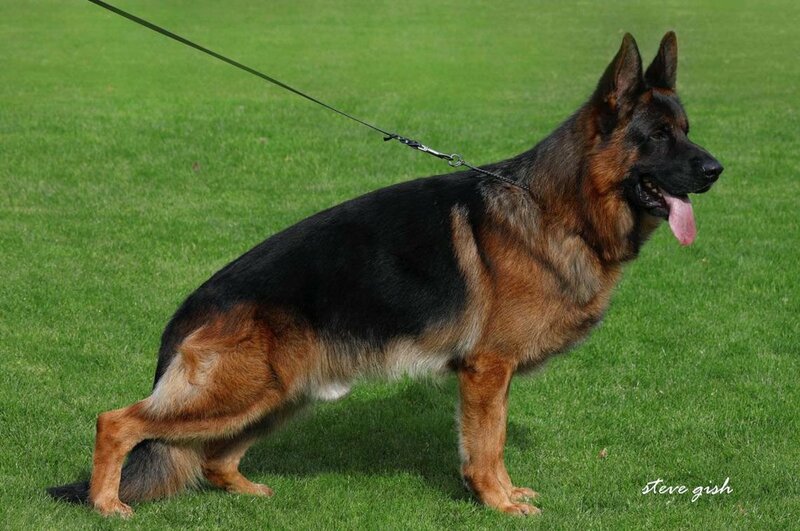 German shepherd import litter from Germany - World class German shepherd import litter from Germany. Nero, is 2nd ranked in the world! Fully titled in schutzhund, very expressive, strong and powerful stud, masculine body type with strong head, pronounced mask. The Dam, is ranked 79th in the world. She's the g-daughter of Twice World champion Zamp vom Thermodos. Her grand-father is Three times World champion, Vegas du Haut Mansard. LADI , is titled in schutzhund with good hip and excellent elbows. NERO (STUD - Father), is "2ND RANKED IN THE WORLD" He is fully titled in IPO3 (Schutzhund 3) and has completed his Breed Survey, recommended to breed (Kkl1). Big, strong, masculine, very expressive, strong and powerful, Super head, Super mask! Excellent type, SUPER COLOR, very healthy pedigree. His father is the 2017 "WORLD CHAMPION " VA1 Gary vom Hühnegrab. Male with good working characteristics! Excellent type, excellent pigment, very healthy and world champion pedigree. Confident, self-assured dog, "Clear in the head" with stable nerves and safe nature! LADI SchH1/IPO1/Kkl1/A2/A1/92LADI (DAM - Mother), is ranked 79th in the world (JKLH/2015). she's the g-daughter of TWICE WORLD CHAMPION SG1/VA1/Zamp vom Thermodos. Her grand-father is Three times WORLD CHAMPION SG1/VA1/VA1 Vegas du Haut Mansard. 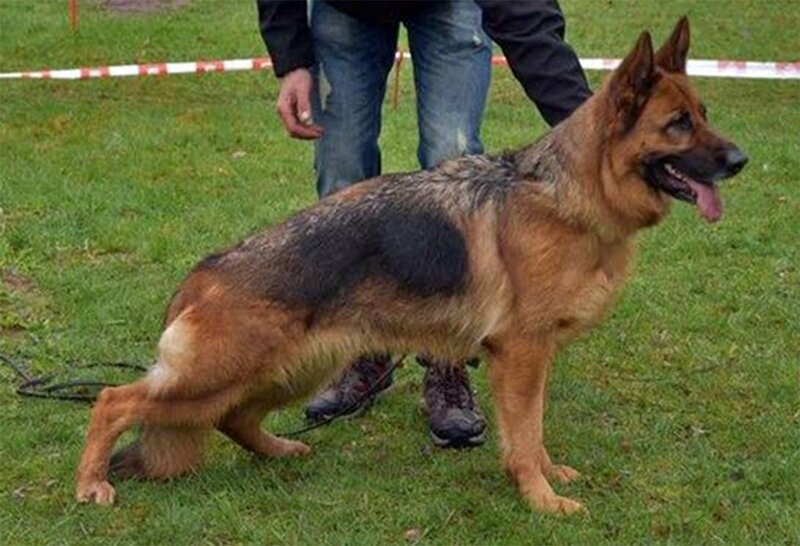 LADI , is titled in schutzhund SchH1/IPO1/Kkl1, good hips, excellent elbows. Anatomically correct, very healthy pedigree. Absolutely clear in the head with ready to play, ready to please attitude, excellent natural protection ability!